36" T burner gives a nice even line of flame. 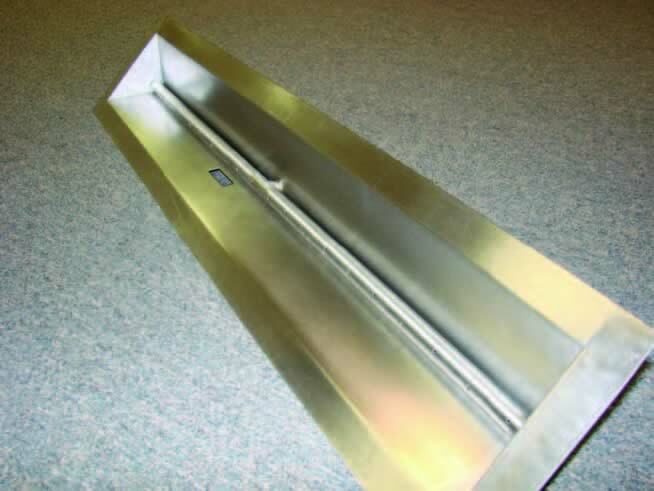 Trough has a lip on the top that alows you to drop-in burner to your surround, table, or fireplace for easy installation. Trough Measures 5.3" X 36.5" with a 1.3" lip around the top. The 36" T Burner has 75K BTU Max.